The Internet Society is inviting applications for its latest Internet Society Ambassadors to the Internet Governance Forum (IGF). IGF Ambassadors will gain valuable insight and experience through their exposure to a range of stakeholders and discussions from numerous disciplines across the Internet ecosystem and benefit from their immersion into the IGF week of activities. Ambassadorships will be awarded through a competitive application process. 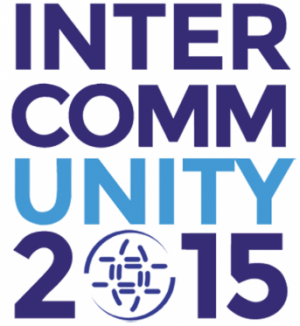 The Internet Society is currently accepting applications for the 10th Annual Internet Governance Forum, November 9-13, 2015, João Pessoa, Brazil. On Tuesday June 23 2015 the Internet Society held a Chapters & Members Meeting at ICANN 53 in Buenos Aires, Argentina. The meeting was a chance for members and Chapter representatives to interact with ISOC staff, leaders and ISOC Board Trustees as well as learn more about upcoming opportunities for engagement, and included an “Interactive substantive programme” with remote participation, which was also be webcast live via the Internet Society Livestream Channel. Video is below. On Tuesday February 10 2015 the Internet Society held a Chapters & Members meeting in conjunction with ICANN 52 in Singapore. All ISOC members and staff of member organizations were invited to attend, either in person or online. After introductions there was a lengthy and lively discussion on the tradeoffs between security and privacy on the Internet. Remote participation was available via webex. Video/audio of the live webcast is below. Today, Tuesday November 11 2014, the Internet Society Briefing Panel on the topic of “Is Identity an Internet Building Block?” will happen from 11:45AM-12:45PM HST (21:45-22:45 UTC) (1645-1745 EST). It will also be webcast live via YouTube. 3 November 2014 – At the ITU Plenipotentiary Conference in Busan the International Telecommunication Union (ITU), the GSMA and the Internet Society (ISOC), announced that they are joining forces to fight against Ebola. The three organizations will bring together the global telecommunications and Internet communities, to leverage their extensive reach, capacity and respective memberships to increase the effectiveness of information and communications technologies (ICTs), especially mobile communications and the Internet, for better preparedness, early warning and response. Secretary-General of the ITU, Dr Hamadoun I. Touré convened a special session with ITU membership during the Plenipotentiary Conference currently underway in Busan, Republic of Korea, to identify recommendations for a more effective use of ICTs in the fight against Ebola. Dr Touré addressed Ministers, Regulators, Ambassadors, and other delegates and appealed to them to ensure that all measures are taken to facilitate the effective deployment of ICTs for addressing the Ebola crisis while balancing this with the need to protect consumer privacy. ITU has already deployed satellite terminals to support ongoing efforts and is currently developing new applications in close cooperation and coordination with the World Health Organization (WHO). The apps are being designed to improve awareness raising efforts, facilitate early warning alerts, report new cases of infection, and support coordination of humanitarian action at community, country and regional levels. Combining the resources of all three organizations will facilitate knowledge sharing and the exchange of ideas, tools and increase their accessibility to the humanitarian community, mobile operators and the general public. 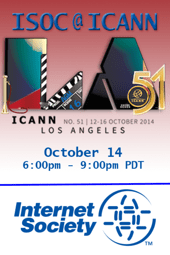 On Tuesday 14 October 2014, the Internet Society held a Chapters and Members meeting at ICANN 51 in Los Angeles. All ISOC members and staff of member organizations were invited to attend, either in person or online. Suggested topics: 1. Updates to the IANA transition process and an analysis; 2. What are our plans for participating at the ITU Plenipotentiary meeting at the end of October in Busan, Korea; 3. The role of ISOC leading both discussion and direct action supporting community consensus on these topics. Remote participation was available via the Internet Society livestream channel and webex. Video is below. Tuesday September 2 2014 the Internet Society(ISOC) held a Chapters & Members meeting at the Internet Governance Forum (IGF) in Istanbul. Bob Hinden (Chair of the Board), Walda Roseman (Chief Strategic Communications Officer), Izumi Okutani (Advisory Council Co-Chair), Raul Echeberria (Vice President, Global Engagement), and Désirée Miloshevic (Board Member). Moderator is Constance Bommelaer (Senior Director, Global Policy Partnerships). Topics include: Why ISOC views the IGF as an indispensable element of the Internet governance ecosystem; The relationship between ISOC members and the IGF community; The importance of funding the IGF (the IGF SA); Strengthening the IGF towards tangible outcomes (e.g. IGF Best Practices). A webcast is available via the IGF. The IGF webcast failed early but remote participation was available via webex. Video is below. The Internet Governance Forum Support Association (IGFSA) has the purpose to provide stable and sustainable support for the Internet Governance Forum (IGF) Secretariat and to fund related activities. The IGFSA was launched on 1st September 2014 at the IGF Meeting in Istanbul. Video is below. Today Monday June 23 2014 at 7pm BST the Internet Society will hold the ISOC @ ICANN 50 meeting in London. The ISOC@ICANNmeeting brings together Internet Society (ISOC) members to discuss policy related issues and other topics of interest to the members, to share ideas, knowledge, content and experiences and also to connect with the ISOC community present at ICANN. Remote participation will be possible via Webex, and the meeting will webcast live via the Internet Society livestream channel. No live transcript. Today Tuesday April 8 2014 at 6pm HKT (6am in NYC) twenty-four people who designed and advanced the Internet as the global, world-changing platform that it is today will be inducted into the Internet Hall of Fame at a ceremony in Hong Kong. Representing 13 countries, the 2014 class of inductees includes pioneers, innovators, and global connectors. The 2014 Internet Hall of Fame induction celebration will be hosted by the Internet Society’s Hong Kong Chapter, and held in conjunction with the International IT Fest 2014, organized by the Hong Kong Office of the Government Chief Information Officer. The Ceremony will be webcast live via the Internet Society livestream channel.